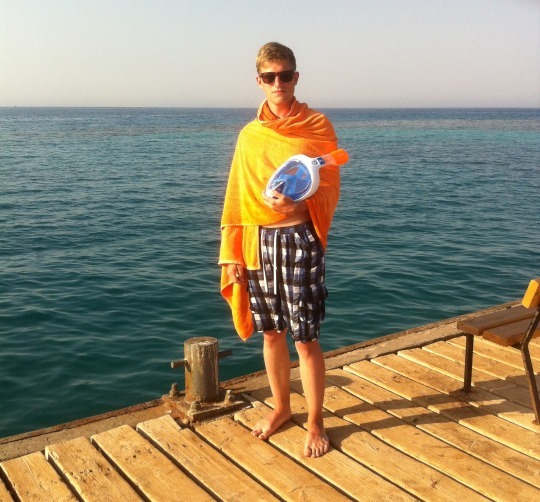 Our Observation of the Week is this Small giant clam, seen in Egypt by @wernerdegier! Currently an intern at the Naturalis Biodiversity Center in Leiden, the Netherlands, Werner de Gier is already on his second project there, revising and figuring “a lot of species of the genus Ptychotrema, a group of African cannibal snails. I used a CT-scanner to examine the internal shell structures and tried to solve the complex taxonomy of these species.” This is already after describing two new species of caridean shrimp in Indonesia, “which were associated with colourful tunicates,” so he’s been busy. When I almost decided to head back to the beach, I saw a weird brownish blob a few meters ahead. It was a huge Tridacna maxima, which I had never seen of that size and more importantly, had never seen being above the water at low tide. The living shell was partly contracted, but open enough for me to take some pictures. Armed with my second hand camera and being aware of the waves coming in, I took some overview shots of the shell. When I decided to turn around, I felt a splash of water hitting my back. Apparently I placed my feet to close to the shell, triggering the shell to shoot some water out while closing a bit. - Not only is Werner a published biologist, he’s also creates some great scientific illustrations! - You can check him out on Twitter as well. 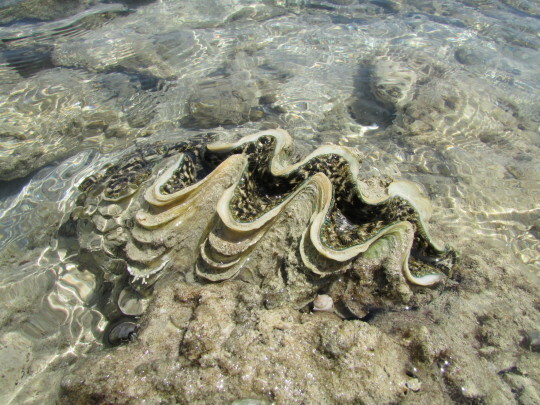 - Interesting article about the importance of giant clams in the reef ecosystem. Thanks for featuring me here @tiwane!